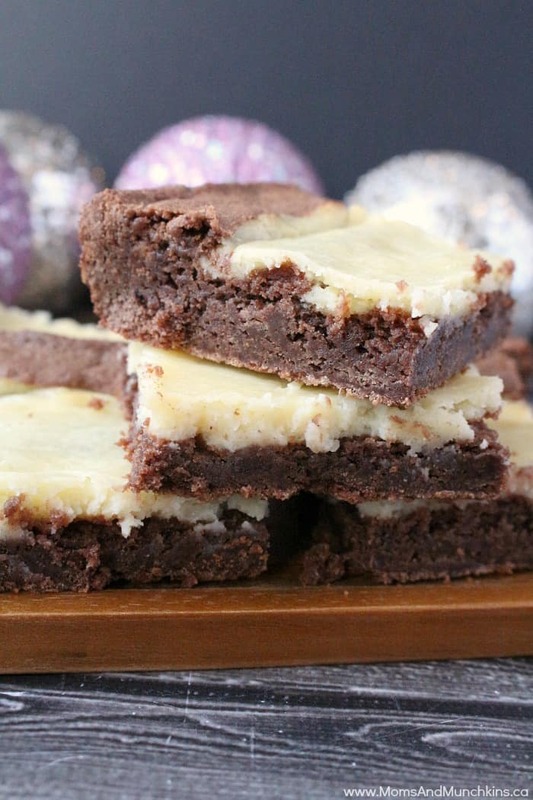 A little warning before we get started here – these fudgy cheesecake brownies are highly addictive. With my first attempt at these, I tried to make them into cupcakes. They didn’t turn out at all and ended up an overflowed mess in the muffin tin. Did I still eat them? You bet I did! You know the best part of baking flops? You don’t have to share them. Oh darn, these delicious fudgy cheesecake brownie cupcakes didn’t turn out so I guess I’ll just toss them out…or secretly I’ll hide them in my belly! After I got over the tummy ache of eating a pan full of overflowed cupcakes, I then tried them in a cake pan and they were perfect. For brownies: In a medium bowl, combine flour, cocoa, baking powder and salt. Stir well to mix then set aside. 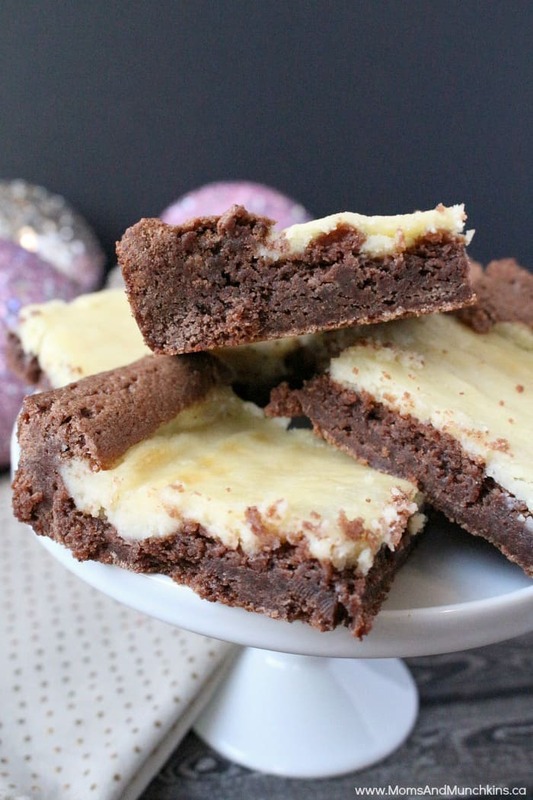 In a large bowl, combine the rest of the brownie ingredients (eggs, sugar, butter and vanilla). Beat with a wooden spoon until smooth. Pour in the dry ingredients and stir well to mix. Spread the brownie batter in a greased 13 x 9 inch pan. For the cheesecake portion: Beat the cream cheese, sugar, egg and vanilla until smooth. Drop by large spoonfuls on the top of the brownie batter in the pan. Using the back of the spoon, lightly spread the cheesecake mixture so that it covers the top of the brownie batter. Bake for 30 minutes or until cheesecake no longer jiggles. Cool, cut and store in refrigerator. For even more delicious ideas, visit our Recipes page or follow us on Facebook, Twitter, Pinterest, and Instagram.